Today I’m reviewing two books together just because they are the first 2 books in a 3 book series and I feel the second cannot be read without the first. In 1947, after Independence from the British, India was partitioned into India and Pakistan (east and West). East Pakistan was later named as Bangladesh after the 1971 war. Okay, as an Indian, I know all this. But my knowledge about the Bangladesh war of Independence is very limited. Forget about the war but even otherwise I knew very little about Bangladesh in spite of its proximity to India. So when my husband went to Bangladesh for work, I asked him to get me something written by a Bangladeshi author and he got A Golden Age. Honestly I couldn’t have selected a better book. A Golden Age is about a Muslim woman called Rehana whose husband has expired and her children are forcefully handed over to the relatives as she was deemed unfit to raise her kids all alone. She works hard to get her kids back to Dhaka and succeeds but not without any sacrifices. The story actually begins when her kids are all grown up: Maya is a 17-year-old and Soheil is 19. Soheil and Maya are actively involved in student politics; Soheil is a very charming speaker and can pull crowds. When Pakistan attacks Bangladesh (then East Pakistan), Rehana does not want her children to get involved in the war in any way. She had to fight very hard to get them back from her relatives and she doesn’t want the war taking them away from her. As the war comes closer to home and her children become involved to the point of leaving their homes and fighting for their country, we see all that Rehana has ever struggled for on the verge of falling to pieces. We also see her strength as a woman and her resolve to protect her children at all costs. In A Golden Age, we don’t get to know the details of the war, we are always on the fringes. Our state is like Rehana’s, wanting to know what is happening and when it will all end. It is a human story, the story of a mother set against the backdrop of a war. I loved the authors writing, it took me to Bangladesh, to Dhanmondi and that period of struggle. I enjoyed reading this book immensely inspite of the serious topic. It was informative and entertaining. This is one book that I very highly recommend. The Good Muslim begins 10 years after A Golden Age ends. It felt right to review these 2 books together as the second one is the continuation of the first and without reading the first book it is very difficult to understand the second. The war has ended, a new country, Bangladesh is formed and 10 years have passed. This book is from Maya’s point of view and she is now a women’s doctor in a remote village in Bangladesh, leaving her mother and brother, for reasons unknown at that point. Due to some unfortunate circumstances Maya has to return to Dhaka. She finds that a lot has changed while she was away. Her brother has dedicated himself to Islam and he is no longer close to their mother. Soheil’s wife’s funeral is being held and he also has a son called Zaid who is 4 years old. Soheil has begun to give religious sermons and has left his sons upbringing to a woman who works with him. She is as strict and religious as Soheil and Zaid is left without any education and anyone to look after him. Maya struggles to settle back in Dhaka and tries to comprehend the changes Soheil has gone through. She takes Zaid under her wing and tries to make his life better. On the other hand, she also struggles to understand how people can forget how they struggled for Independence only a few years back and have moved on. She doesn’t want to move on. She wants to remember, not only all that happened but also how Soheil was before and during the war. She wants to understand what Soheil has gone through to affect him so much that he has to turn to religion. When Soheil decides to send Zaid to a Madrasa, Maya thinks she has to do something for Zaid. 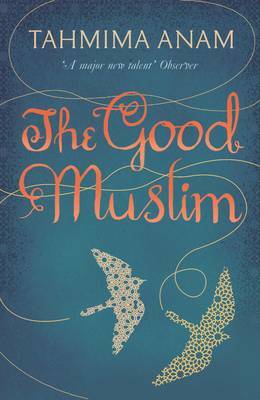 In The Good Muslim we don’t get to know what’s going on in Rehana’s mind which was weird considering how tuned I was to her feelings in the first book. It felt uncomfortable not knowing what was going on in her mind. Nevertheless, Maya is an interesting character as well. The author has shown all her confusion, anger and frustration very well. I loved this book equally if not more than A Golden Age. I thought without the war as a backdrop, the book would be boring but it wasn’t. Her writing is very beautiful yet very easy to read and get lost into. She takes you to the remote villages in Bangladesh as well as to the rapidly changing Dhaka with equal ease. Most of all it reminded me of home, of eating puchkas and drinking chai from a street vendor while looking at an ever changing landscape. Tahmima Aman takes you into the heart of the country and into the heart of the people who reside there. For that reason alone, this book is worth reading. 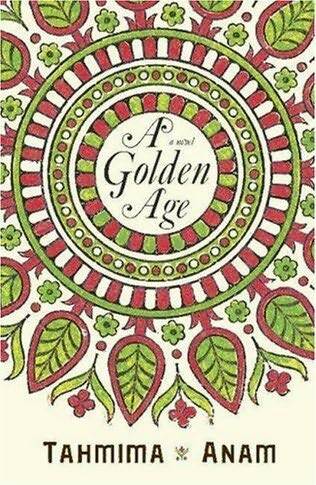 Note: A Golden Age is from my personal shelf while The Good Muslim is a review copy.